ZOOTOPIA will be hopping into theaters on March 4th with massively cute animals, a gorgeously imaginative world and a beautiful story. 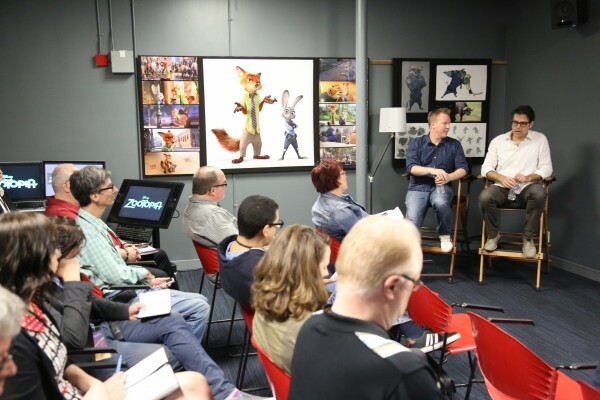 I ventured to the Walt Disney Animation Studios back in October to visit with the Directors, Producer and Production Team of ZOOTOPIA and view some First-Look footage. I brought back some incredible facts involving the film’s story. 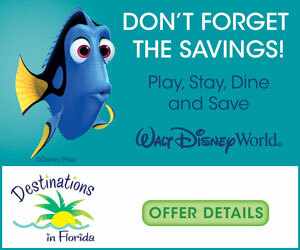 If the Walt Disney Company is good at one thing, it’s story-telling. Let’s take a look into Fun Facts of ZOOTOPIA’S Story Safari. Then be sure to check out our Fun Facts of Anim(al)ation Character Design. First, a bit of background on the movie and its world. The modern mammal metropolis of ZOOTOPIA is a city like no other. It’s comprised of different neighborhoods that have different climates to accommodate all types of animals. There’s ritzy Sahara Square for desert animals, Tundratown for the polar bears and moose, the hot and humid Rain Forest District, Little Rodentia for the the tiniest mice, and Bunnyburrows for the millions and millions of super cute bunnies. The downtown area, Savanna Central, is a melting pot where a wide array of mammals from every environment come together—a place where no matter what you are, from the biggest elephant to the smallest shrew, you can be anything. When rookie cop Judy Hopps (voice of Ginnifer Goodwin) arrives in the big city, she discovers that being the first bunny on a police force of big, tough animals isn’t so easy. Determined to prove herself, she jumps at the opportunity to crack a case, even if it means partnering with a fast-talking, scam-artist fox, Nick Wilde (voice of Jason Bateman), to solve a mystery. The Story Safari group worked on this movie for years and had hundreds of people weigh in, but it really came down to 6 people and a laptop, making each scene better and better. It seems implausible that this behemoth of a Disney animated film is sometimes a DIY thing like film school, but that’s often the most fun part of the process – the collaboration. ZOOTOPIA – Zootopia Effects dailies. ©2015 Disney. All Rights Reserved. The Story Safari group is full of amazing performers! Writers must get up in front of the group and present their ideas along with a storyboard. They actually have to create the voices and act out their ideas. Once a rough scene is agreed upon by the story group, they send it to Editorial. Editorial puts dialogue and sound effects to the storyboard images so the Story Department can “watch” the story develop, present it to the Directors and they green-light the final scene. The only thing that you know is that everything is going to change. It’s part of the process and you just have to accept that. Animation is awesome in that you can re-write so many times and then make the movie 100 different times before you come up with what the final version is. And that is exactly what happened with ZOOTOPIA. Judy’s character in particular changed a great deal. So some scenes that portrayed Judy Hopps as sad and dependent had to be scrapped and changed to make way for a better final film. Crew is often working 7 days a week towards the end to make the movie great. If a great idea comes in late in the game, and technically it’s possible, then everyone tries everything they can to make it happen. 24/7 days, overnights, they find a way. With all the work involved in ZOOTOPIA, I can’t wait to see this movie. I also can’t wait to share more Behind-The-Scenes fun facts! Be sure to check out our Fun Facts of Anim(al)ation Character Design and stay tuned for more. Walt Disney Animation Studios’ ZOOTOPIA, a comedy-adventure directed by Byron Howard (“Tangled,” “Bolt”) and Rich Moore (“Wreck-It Ralph,” “The Simpsons”) and co-directed by Jared Bush (“Penn Zero: Part-Time Hero”), opens in theaters on March 4, 2016.